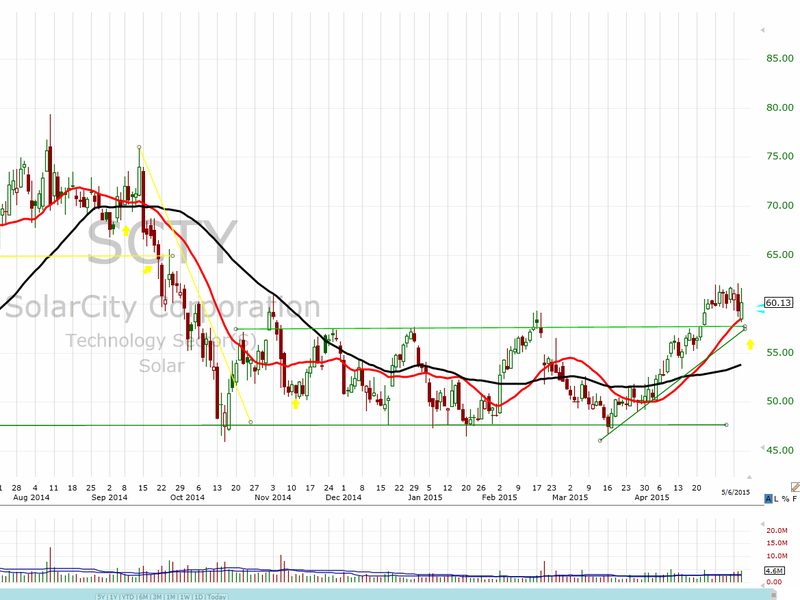 DirecTv (DTV) and Solar City (SCTY) are two stocks that have been basing for a long time. 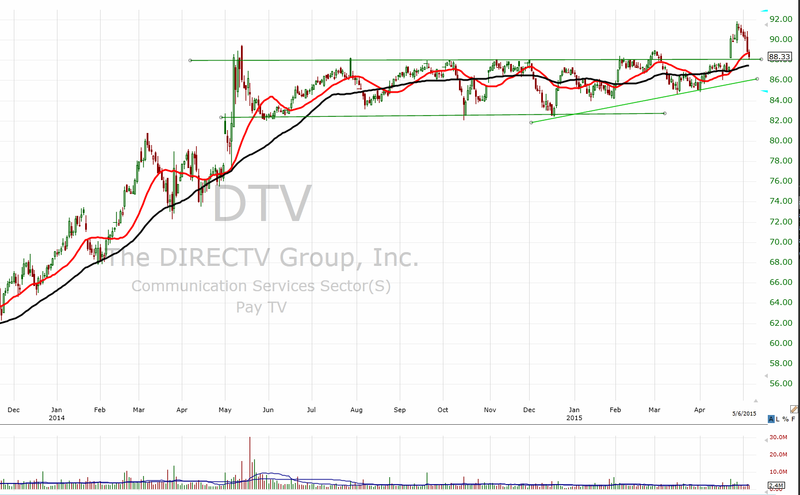 DTV traded between roughly between $83-$88 for 1 year, SCTY traded between $47.75-$57.50 for 7 months. Both stocks are trading above their respective bases. I’m always intrigued by bases because a prolong period of contraction normally leads to a prolonged period of expansion, and the longer the base the better it is. What happens in the base is that the buyers and sellers find equilibrium, the sellers for the most part are done selling and or the buyers are taking in all the supply. These new stockholders obviously believe that greener pastures await the stock. More importantly, what you see right before the stock exits its base to the upside is a series of higher lows. Which is exactly what we have seen with both stocks. 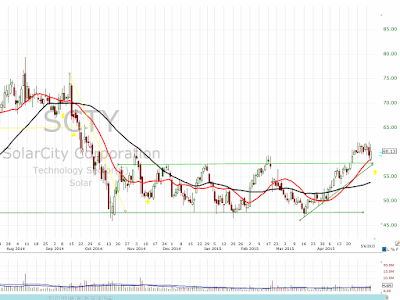 DTV ($88.33) and SCTY ($60.13) are both trading just above the upper of their base, as a speculator a buy and hold of these two stocks is in order as long as they stay above their bases. Due to how close they are to the upper end of the range they both are providing a decent risk reward trade. The measure move for DTV is $93 and for SCTY $67, you get the measure move by taking the difference of the upper end of the range minus the lower end plus the upper end ($88-$83=$5+$88=$93).